Thanks to MobyGames for providing the only decent sized image of the box art… and for stamping their watermark on it. Set twenty years after the events of Mansion of Hidden Souls, The Mansion of Hidden Souls sees a return to the ominous mansion that houses humans turned into butterflies. 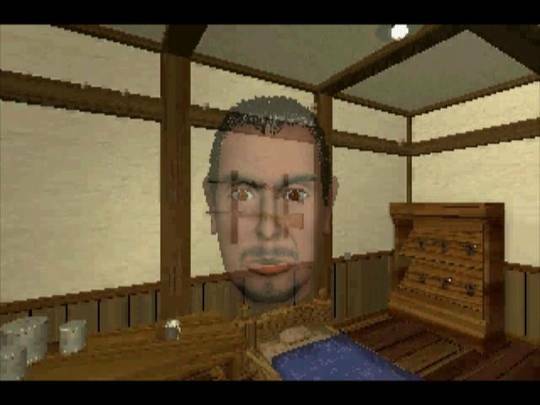 As I did with the Sega CD game, I played through The Mansion of Hidden Souls with a friend. Released in 1995 for the Sega Saturn, The Mansion of Hidden Souls was developed by System Sacom and published by Sega. While Mansion of Hidden Souls on the Sega CD was published by a different company (Vic Tokai) I can’t believe Sega basically chose the same name for the sequel. Because of this, there is a lot of misinformation about the two games on the internet. While this pains me, perhaps my two reviews can provide a clearer image for anyone who wants to know about the games. Instead of talking to a butterfly, my friend and I were shown a face of the butterfly we were talking to. Rather than stumbling upon the mansion with his sister as the player’s character did in the Sega CD game, I gathered that the character my friend and I took control of, Jun, lived in the mansion, along with his mystery solving buddy, Mike. After a sweeping intro showcasing the mansion, my friend and I were introduced to the elder, who told Jun and Mike of his worries over the red color of the moon. He believes it is a bad omen and asked us to do some investigating. My friend and I left the elder’s room and set foot in the foyer of the mansion, ready to begin reacquainting ourselves with the mansion and meeting its residents. This was an easy task however as the mansion had retained a similar, if not identical floor plan as it had in the Sega CD game. Even after playing the Sega CD game a week or two earlier, I still got a feeling of nostalgia. So, already familiar with mansion, we began meeting with its residents. Considering when it came out, the game looked very nice. All of the mansion’s residents are butterflies. They all were human at one point, but decided to be turned into butterflies to escape the woe associated with being human. One of the residents, a young girl, explained to Jun and Mike of the arguments that her divorced parents used to have, that they hated each other so, and presumably, she ran away to get away from it. Every resident told us why they were here, through dream-like sequences. Each sequence implemented a unique art style and after I knew they were different, I anticipated watching them. Around the time we met everyone, Mike’s room was burgled and an important book was stolen. It belonged to the elder and had everything to do with the ominous moon. My friend and I began considering suspects, but easily settled on one. Left behind in Mike’s room was a lighter with a “D” engraved on it. Surely this belonged to Danny, an older resident who had an interest in firearms. Mike was quick to accuse Danny, as was everyone else we talked to, but the elder was wary to point a finger so easily. My friend and I decided to confront Danny anyways and when he asked, we told him we thought he did it, something we couldn’t have done in the Sega CD game. New to The Manson of Hidden Souls was the ability for my friend and me to answer yes or no questions. While they weren’t that frequent and the story eventually turned out to be quite linear, we both enjoyed having a little more control. Once we accused Danny of the crime, my friend and I received a bad ending and chose to restart from an earlier save. This gave me an interesting idea, what if the game resembled the movie Clue? The game could have multiple scenarios where the culprit was someone different each time and the story played out slightly differently. Unfortunately, this was not the case. There was a culprit, and only one. Instead of relying on objects for puzzles, The Mansion of Hidden Souls’ puzzles were based around conversations more than anything else. Rather than finding objects and using them in certain situations, finding out who to talk to progress our adventure was our goal. There wasn’t a magical painting that showcased what to do next however and we spent a lot of time checking in every room before finding who we needed to talk to. After more puzzle solving, or should I say conversations, my friend and I cracked the case and were treated to a lengthy, and very weird, ending cinematic. Whereas the story in the Sega CD game was the personal story of a boy rescuing his sister, the story in The Mansion of Hidden Souls, especially at the end, seemed more metaphorical. My interpretation of the final cutscene is this. Living a life with no hardships may be easy, but there is no meaning to the life. Exploring the world, aging, and going through trials and tribulations makes joyous occasions joyous; without struggles, there is nothing to celebrate. While they had a lot in common, The Mansion of Hidden Souls was an improvement over Mansion of Hidden Souls. 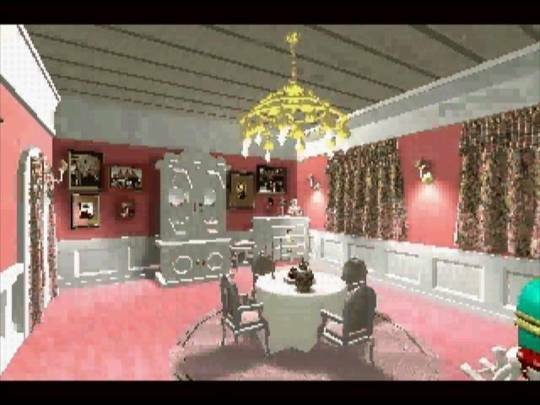 As it was released for a more advanced console, The Mansion of Hidden Souls looked much better compared to the Sega CD game, and I bet many other Sega Saturn games, it looked very nice for sure. I’m torn on the voice acting improvements though. There are no longer grossly stereotypical accents, but the voice acting in general is not wonderful either. I suppose its better overall but the cheeky voice acting from the Sega CD game was quite comedic. Of course we suspected Danny, he even told us he had resorted on theft to get by when he was a youth. Excluding the decreased emphasis on using objects for puzzle solving and the ability to answer yes or no questions, the two games play identically. Playing from the first-person perspective made me feel as though it was me in Jun’s shoes, but I probably could’ve done without the locked routes I could walk. That seems like a custom for the genre that they didn’t buck. My last thought? I enjoyed the narrative in The Mansion of Hidden Souls more than the Sega CD’s game. I liked that it delved into philosophical territory, even if the ending was very odd. 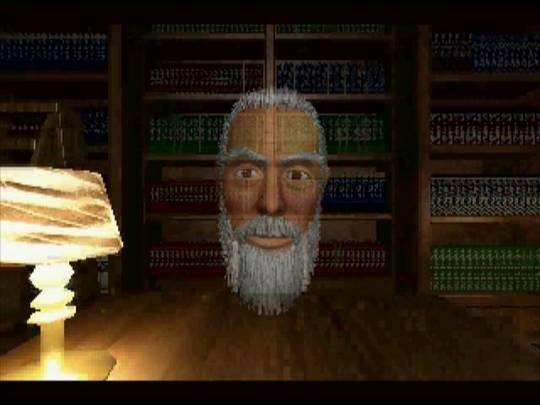 The Mansion of Hidden Souls was a decent adventure game that was better than the first, and a good buy for a Sega Saturn owner, but not necessarily that interesting to many others.